Immaculately presented throughout, this property offers you 4 spacious bedrooms, 2 bathrooms, a versatile kitchen and living area that features quality appliances including a dishwasher and oven. You can relax or entertain in style with the open living area which leads out through sliding glass door to the outside/undercover patio. The low maintenance yard, surrounds the house, providing you with great outdoor living space for those of you who enjoy entertaining friends and family. 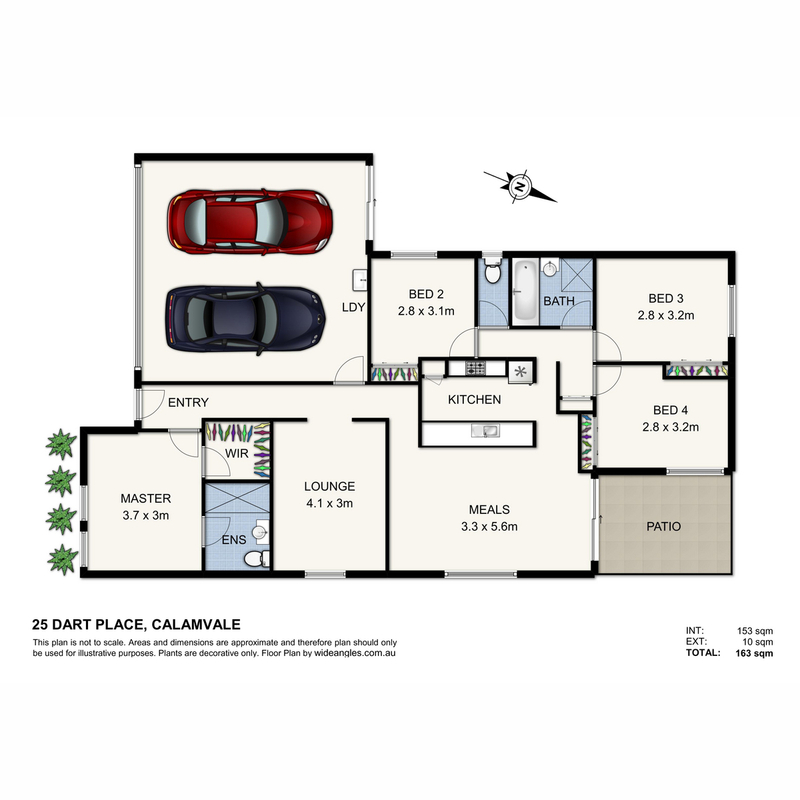 25 Dart Place is situated at the heart of Calamvale with 2 minutes’ walk to public transport, 5 minutes’ walk to Calamvale shopping centre, 5 minutes’ walk to Calamvale Community College and many more amenities within walking distance.